Find Unused Assets In Project — also general topic and pretty useful when assets and dynamically loaded or You’ve got the project from the other devs that are not too avail to ask. Practical howto is here Automatically locate all unused unity assets. Matinee Basics: Creating Your First Matinee Sequence — You’ll want to show Your work to everybody and nowadays most of people don’t have headsets. The article teaches how to get the video from Your demo and oops Mantinee camera doesn’t support VR at least in UE 4.11 preview 7. For Unity Camera Path from Asset Store is very good analog but paid. Developer Oculus Downloads — SDK & Runtime & Engine Integration for Unity. I’d recommend review nearly everything there before go on with the project. Oculus Utilities for Unity 5 OVR Player Controller and OVR Camera Rig are the best on this stage. Maybe later on they are going to be integrated in Unity like Virtual Reality support check box appeared in Unity 5.3. Unity VR Samples — is completely useful to learn and I used Gaze/Reticle from there. In result from samples from Oculus and Unity I’ve mixed my custom OVRi library. Going to cleanup and share the source if have some time soon. XInput: how do I access vibration on 360 controller? — You’ll have to deal with Xbox Controller that is going to be included with Oculus Crescent Bay release hardware. XInput is Your friend and be aware of wrappers: Xbox 360 Controller Emulator (x360ce) is working but with one of a kind of controllers. Force feedback is experimental and goes as plugin on C++ in Unity 5.3. Classic Joystick looks like more suitable for controller testing. Simulator Sickness — the last but not the least about VR, a lot of people are affected with different types of sicknesses. My own observation says the more person is strict the more chances he/she gets dizzy problems. 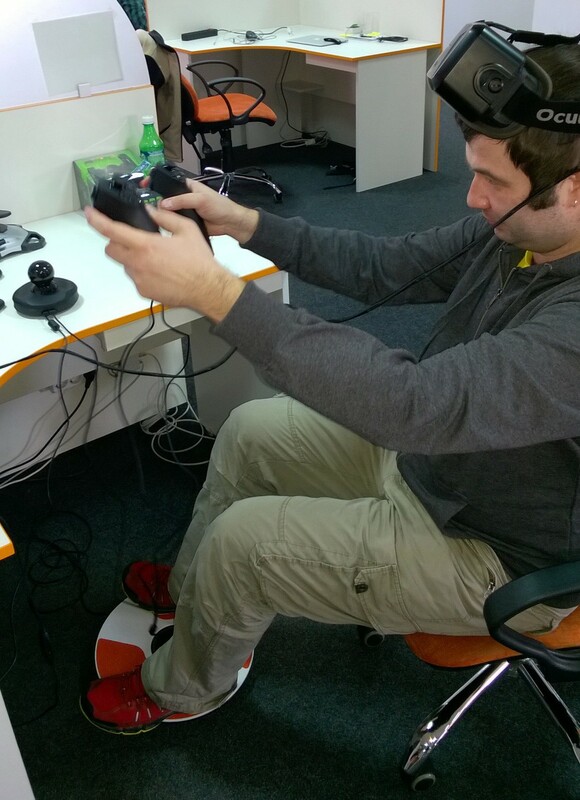 The developers who spends month in headsets can’t even imagine it, so You’d better watch out. Samsung Gear VR — Detect Tap/Swipe — simple, easy and practical way to use Your OVR Controller or any other navigation/interface solution. After all unsorted, scientific and kind of funny 20 Years old study on VR Randy Pausch’s study of Disney’s Aladdin Magic Carpet VR Adventure. I hope it helps, saves to my colleagues engineers and developers some time and supports the innovations. Let’s look on represented above tech like on first iPhone generation or even prototypes stage. Just unleash Your imagination can You tell what can be achieved with 2nd, 3rd or 7th generations of VR/AR/MR? Virtual reality (VR) is a technology which allows a user to interact with a computer-simulated environment, be it a real or imagined one. Thank you for sharing!